The artist and publishing house manager Oscar Furuhjelm was one of the leading figures in Finland’s early advertising industry. As early as 1910, he founded the advertising agency Finska konstnärliga reklambyrån together with commercial artist Heino Aspelin and architect Gösta Kulvik. However, the agency only survived for a year. Furuhjelm continued to design advertisements and in the 1920s he took up a new post as the artistic manager of the printing house Öflund & Pettersson, where one of the many things he was responsible for was the planning of advertisements for the great Finnish department store Stockmann. 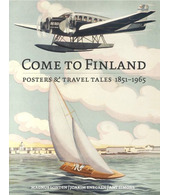 Oscar Furuhjelm also promoted Finnish functional design abroad. For the big graphic exhibition in Leipzig in 1927, Furuhjelm was responsible for collecting and choosing the work to be presented at the exhibition. 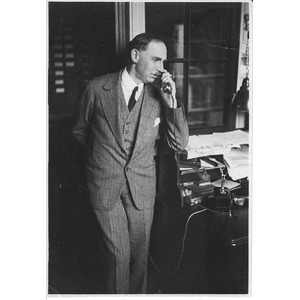 In 1928, Oscar Furuhjelm became manager at Tilgmann’s publishing division, Kuvataide. He remained with the company until 1952, when he retired. Read more about Oscar Furuhjelm on pages 15 and 43.